dubai2.jpg, originally uploaded by a sack of seattle. Blogging is awesome. I made a post yesterday about the random thought of going to Dubai and New Zealand. 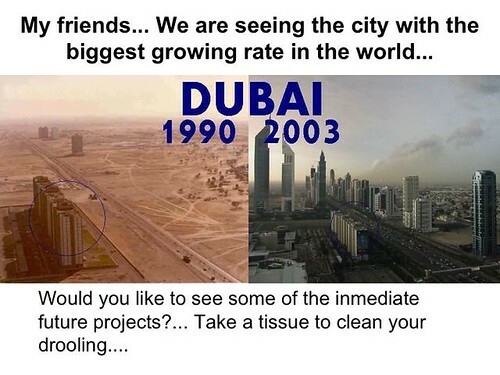 I had a reader from New Zealand invite me to coffee and had someone send me an awesome power point about Dubai. Check out these photos of Dubai ! May 14, 2007 by Andy Sack.